TPB Bank PLC is a Bank, whose vision is “to be the leading bank in Tanzania in the provision of affordable, accessible and convenient financial services”. As part of effective organizational development and management of its human capital in an effective way, TPB BANK PLC commits itself towards attaining, retaining and developing the highly capable and qualified workforce for TPB BANK PLC betterment and the Nation at large. 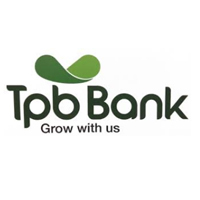 TPB Bank PLC seeks to appoint dedicated, self-motivated and highly organized Drivers (2 positions) to join the Directorate of Human Resources and Administration The work station is Dar es Salaam. c) To detect any vehicle defects and promptly reports to the Administration Manager. The position will attract a competitive salary package, which include benefits. Applicants are invited to submit their resume (indicating the position title in the subject heading) via e-mail to: recruitment@tpbbank.co.tz Applications via other methods will not be considered. Applicants need to submit only the Curriculum Vitae (CV) and the letter of applications starting the job advertised and the location. Other credentials will have to be submitted during the interview for authentic check and other administrative measures and should not in any way be attached during application. TPB Bank PLC has a strong commitment to environmental, health and safety management. Late applications will not be considered. Short listed candidates may be subjected to any of the following:security clearance; a competency assessment; physical capability assessment and reference checking.